In Part 1 of this highly-sporadic series, I specified No Polling as a must-have for your build box. I have seen countless examples where otherwise-great toolchains are let down by dumb polling on behalf of the build server. Even worse is when a heap of jobs all go polling at the same time (e.g. a */5 * * * * cron expression or similar), resulting in terrible load spiking, and unfair (and possibly even wrong) build order. Why do otherwise-excellent and smart engineers end up doing the kind of dumb polling in Jenkins that would keep them up at night if it was their code? 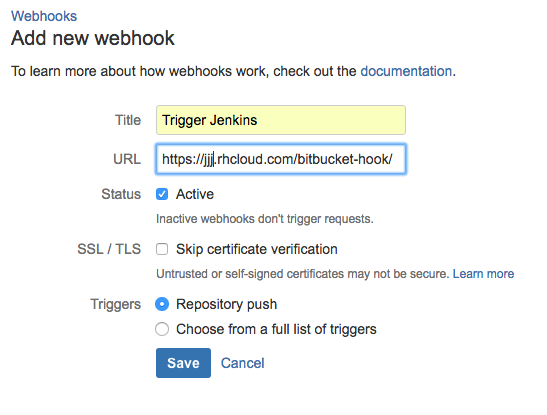 Mainly because historically, it's been substantially harder to get properly-triggered job execution going in Jenkins. But things are getting better. 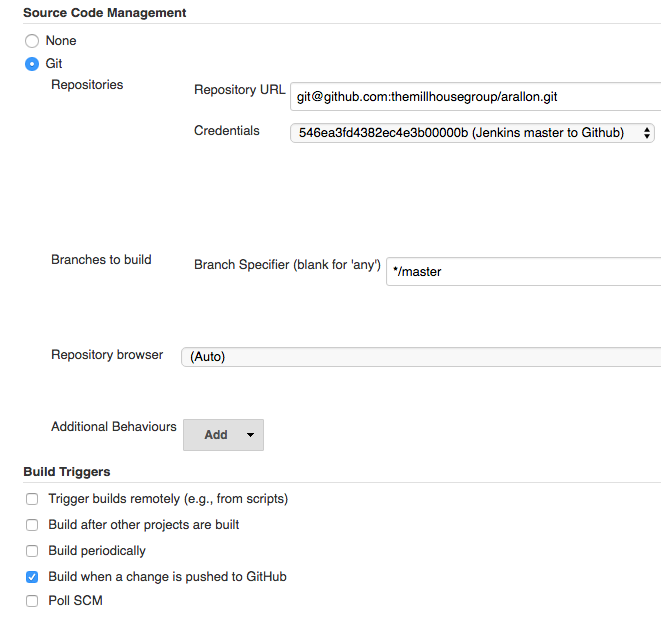 The Jenkins GitHub Plugin does a terrific job of simplifying triggering, thanks to its convention-over-configuration approach - once you've nominated where your GitHub repo is, getting triggering is as simple as checking a box. Lovely. Now, finally, it seems BitBucket have almost caught up in this regard. 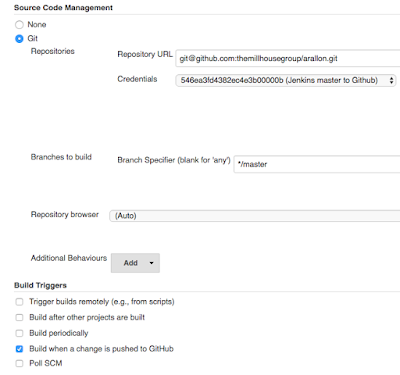 Naturally, as they offer (free) private repositories, there is a little bit more configuration required on the SCM side, but I can confirm that in May 2016, it works. There seem to have been a lot of changes going on under the hood at BitBucket, and the reliability of their triggering has suffered from week-to-week at times, but hopefully things will be solid now. Where jjj.rhcloud.com is your (in this case imaginary-OpenShift) Jenkins URL. One of the nicest features of this Webhook-powered way of triggering is that you can actually view the details of each request and the response that came back from your Jenkins. This was completely opaque when using the Services integration that was until-recently the best option.